In recent years, a growing new trend in the financial services industry has been the rise of direct private lenders. Private lenders loans in Canada have become more and more popular. Banks are no longer seen as the default and only choice for consumers seeking loans. In this guide to the topic, we’ll explore and explain why this trend has developed, as well as highlight what private lenders loans have to offer to Canadians. Direct private lenders loans allow Canadians to borrow money, just like banks and other traditional financial institutions do. The difference is that banks have always been highly risk-averse and maintained a fairly high threshold for lending. This only increased after the financial crisis of the late 2000s. The result of this fact is that many Canadians are not able to qualify for loans with banks. This is especially true for those who are in the market for bad credit loans. Often, those are the customers who need quick access to funds the most! So, it’s no wonder that there has been great interest in alternative lenders, to open up the credit and loan markets to all who need them. Direct private lenders which offer bad credit loans can therefore offer Canadians other options to get the credit then need, even if they’ve been turned down by a bank before. Many private lenders have low or no credit score requirements and use advanced technology to analyze your loan application. iCASH allows Canadians to apply for a cash loan online and provide instant approval, which will save you time, hassle as well as money. The new era of private lenders loans has been a benefit for Canadians who are looking for a loan online. Many Canadians may wonder if getting a bad credit loan through a private lender is a better choice than traditional banks. That really depends on individual circumstances, and what kind of loan or credit product you are looking to obtain. Assuming that a direct private lender has what you’re looking for, how do they compare to traditional banks? In general, banks offer somewhat lower interest rates than private lenders. The flipside is that many consumers are unable to qualify for these bank loans. Bank loans often involve a lot of paperwork, one or more in-person appointments, significant waiting time for approval and getting the funds once you’re approved for a loan. Direct private lenders can provide loans online, require no in-person appointments or travel, and no physical paperwork or document requirements, either. Many private lenders can also provide same day loans, fast approvals and even funding within an hour. Banks often may also only offer secured loans – loans backed by collateral. For many customers, risking their home, car, or other possessions in order to get a loan isn’t something they are willing to do. That can leave consumers without a lot of options. Fortunately, numerous direct private lenders offer unsecured loans, with no collateral requirements. That gives them a major advantage over banks, allowing consumers to access the money they need, when they need it, without risking their assets. But not all private lenders who provide loans to Canadians are created equal, and consumers are right to be leery of the reputation that some private lenders have developed. Banks are a known quantity can turn away a lot of customers, but people know what they are getting into. Direct private lenders are a bit more unfamiliar to many people and that’s one of the reasons for this guide! Read on and we’ll tell you how to choose a top-quality, trustworthy loan lender a bit later in this guide. Another key area where private lenders outperform banks for many consumers is when it comes to bad credit loans. As mentioned above, banks are quite strict about their minimum credit requirements in order to qualify for loans. Many will automatically screen out the bottom 80% of the population based on their credit scores. That leaves a lot of people without access to funds. Credit scores and credit reports are not always accurate. As a single number, a credit score, doesn’t really reflect the trustworthiness or risk of a borrower. That’s why many private lenders for bad credit loans do not require borrowers to have perfect credit. In fact, many don’t maintain any credit score requirements at all, instead choosing to look at the person’s overall income and financial picture to make a risk determination. What this all means is that Canadians with bad credit can often obtain loans from private lenders, even if bank options are entirely closed to them. Bad credit doesn’t need to be an impediment to accessing loan funds, thanks to the existence of direct private lenders loans. When you’re looking for private lenders loans in Canada, you’ll want to make sure you choose one that’s fully licensed and certified for operation as direct-to-consumer lenders. 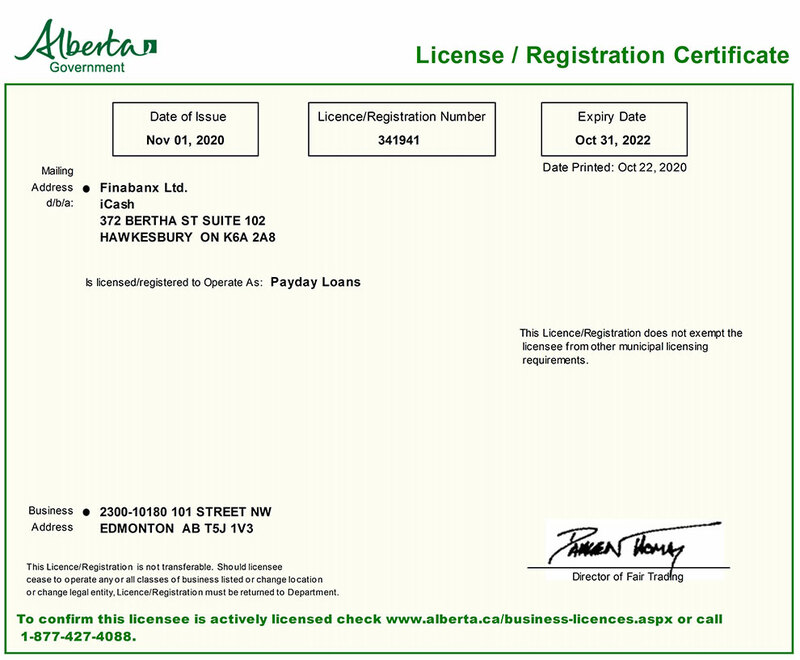 iCASH is regulated and licensed by the provincial governments that we do business in. iCASH is a licensed direct private lender that provides unsecured loans to Canadians. iCASH offers a unique Cashback program to reward its customers. You can get back up to 20% of the cost of borrowing paid once your private lender loans are repaid and receive your Cashback direct into your bank account the same day. Real saving and real Money! How to Get a Loan from Private Lenders? To get started, simply fill out the loan application online with a direct private lender. Choose your loan amount, repayment options, along with basic information about you. It only takes 5 – 10 minutes to apply online. After you submit your private lender loan application online, it’s reviewed by internal software and a credit check will be performed. You’ll receive a decision from the private lender on your loan application almost instantly. As soon as you’re approved for a loan, the private lender will send you an email with your loan agreement which needs to be digitally signed, and your funds will be sent to you via e-transfer within 5 minutes. iCASH is one of the premiere private lender loans in Canada, specializing in short-term loans. They make it easy to apply with a payday advance loan with a simple lending process and great customer service to back it up. Whether you have good credit or bad credit, if you’re looking for private lenders loans in Canada, look no further than iCASH! At iCASH, the lending process is extremely simple. That’s one of the things that sets iCASH apart from other online loans direct lenders. It’s designed for convenience as well as speed to let you get your loan and get on with your life! Just log on to the iCASH website or download the iCASH App, choose your loan amount, repayment options and provide the requested information. Next, your application is reviewed by our software which performs a credit check, analyzes your data, and provides an approval decision – all virtually instantaneously. Then, you can digitally sign your loan agreement and your funds will be released via e-transfer within 5 minutes. You can apply anytime, day or night, 24/7/365. iCASH provides private lender loans in Canada, with customer experience agents who are based in Canada and speak both official languages. 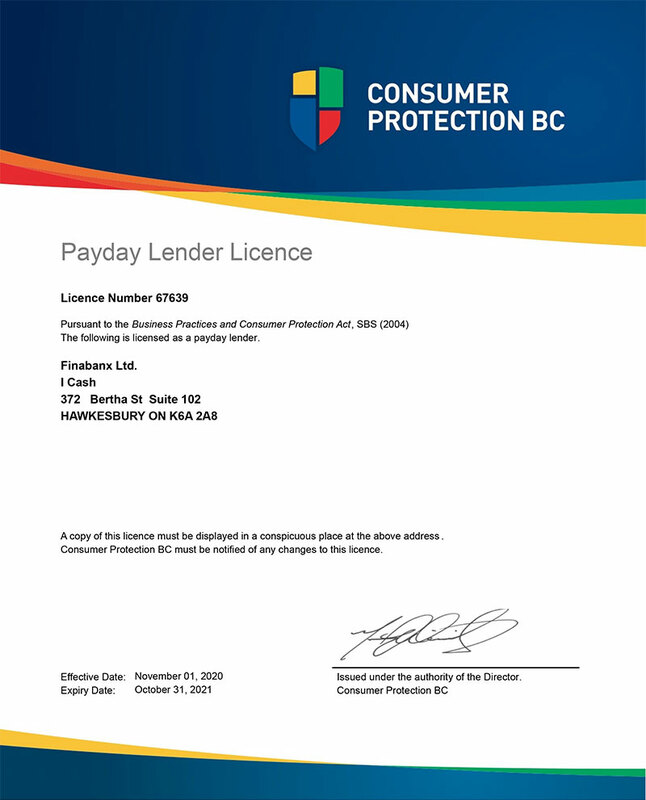 We’re fully licensed in every province where we provide payday advance loans. This means that our fellow Canadians can rest easy, without worry, protected by the myriad of consumer financial protection laws that are in place today. We’re proud to be based in Canada, and happy to comply with or exceed the requirements of all relevant lending laws. We’re committed to honest, transparent, responsible, ethical lending – and we wouldn’t have it any other way. Interest Rates on emergency loans from private lenders can vary significantly from company to company. You should always make an effort to compare rates and choose a company that you know has great reputation as well as one that you feel comfortable with. This will ensure that you know the cost of borrowing up-front, and it won’t change based on market fluctuations. At iCASH, we fully disclose the interest rate on our website as well as during the application and loan agreement process. As a direct private lender for bad credit loans that does business online, we are able to maintain very low overhead, allowing us to offer you extremely competitive interest rates. All rates are fixed, expressed as a dollar amount per $100 borrowed, and vary by province based on the differences in provincial lending laws. They reflect the total cost of borrowing if you repay your loan on time as agreed. We don’t have any hidden fees, either. Customers with bad credit or less than perfect credit find it difficult to obtain loans. Traditional lenders and banks are highly risk-averse, as we’ve discussed throughout this guide. That means they set the bar very high to qualify for their loan and credit products which results in excluding a large portion of the population. But private lenders don’t have to abide by the same low-risk threshold that banks do. This means private lenders such as iCASH can provide online loans for bad credit to almost anyone. We believe you’re more than just a number. So long as you meet our minimum lending requirements, your loan application will be fairly and fully considered. Our primary concern is whether or not you have the financial means to repay the loan. We pledge to never disqualify any Canadian from getting a loan solely on the basis of a poor credit history. Finally, one area that people often worry about when getting an online loan from private lenders is information security. We take your information security and safety very seriously. It’s the lifeblood of our business, after all. To that end, we’ve invested heavily in the latest security and encryption technology to keep your financial information safe. That’s coupled with industry best practices for data access controls and cyber security. In short, at iCASH, we believe this is the hallmark of quality when it comes to private lenders loans. It’s essential to allow us to maintain the trust of our many satisfied Canadian customers and to keep doing what we do. Below, we’ve compiled some of the top most Frequently Asked Questions (FAQs) regarding private lenders loans and, more importantly, provided answers for those questions. 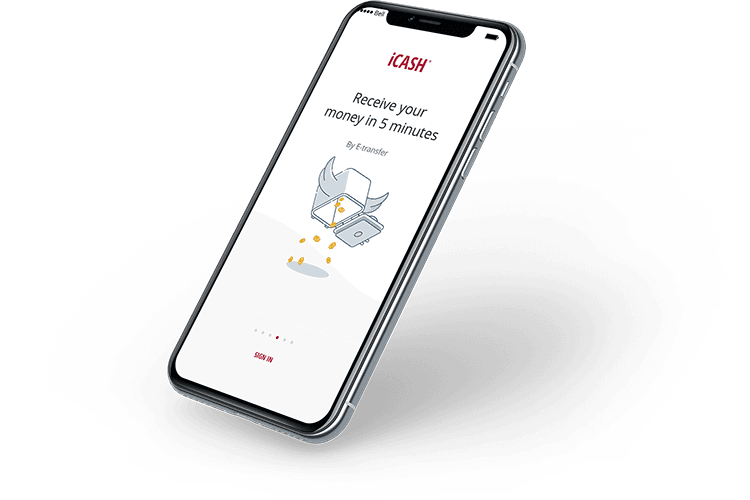 If you have additional questions not covered here, please feel free to explore the rest of the iCASH website, including our payday loans faq page, or reach out and contact one of our Customer Experience Advisors, via the iCASH Contact page. How Do I Get Private Lender Loans? Are Private Lenders Better Than Banks? How Much Interest Do Private Lenders Charge? What are Private Lender Loans for Bad Credit? How Do I Find Private Lenders? 1/ Apply for a loan online at the private lender’s website. 2/ Get instant approval on your loan from the private lender. 3/ Digitally sign your loan agreement. 4/ Get the money within 5 minutes via e-transfer. The entire process takes less than an hour, with the application itself taking only about 10 minutes to fill out for most customers. Private lenders can offer faster and more convenience service such as allowing customer to apply for a loan online at any time of the day or night, 24 /7. Direct private lenders can also provide an avenue for Canadians who have bad credit to get the funds they need. So, from the perspective of convenience and availability to all type of credit customer, one could definitely argue that private lenders that provide loans are a better choice than banks. For many Canadians find that private lenders are easier to work with, faster, and more customer-focused than banks. In general, private lenders loans have higher interest rates. This is both a function of offering loans to higher-risk customers. This however allows private lenders to offer loans to more Canadians who may carry a higher risk. The interest rates that private lenders charge on loans tends to vary a lot from province to province, based on different provincial lending laws. Reliable and trustworthy private lenders will usually disclose their rates during the application as well as within the loan agreement. 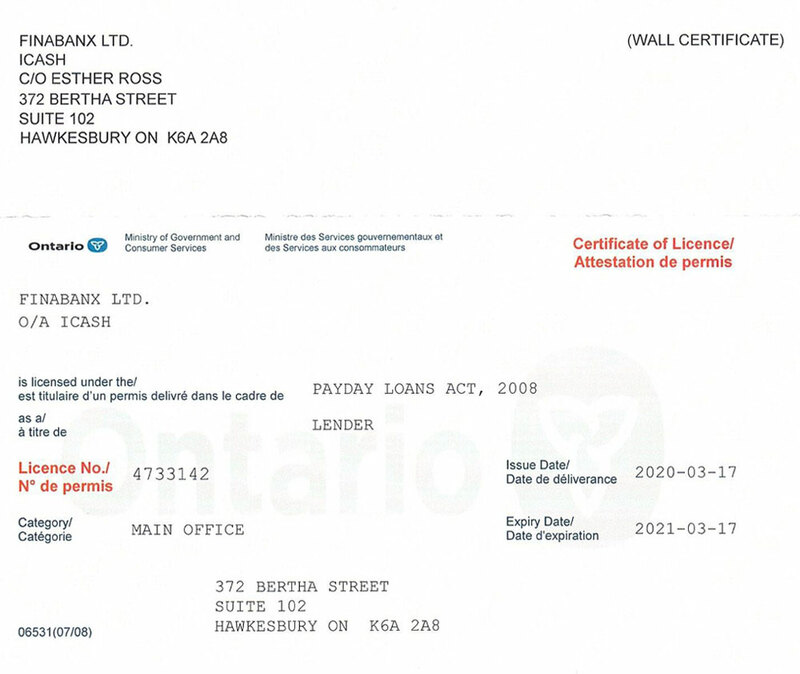 Private lenders do need to be licensed in every province in which they operate in and you should always be able to find the license numbers for private lenders disclosed on their website. If you can’t find a licensed for one of the private lenders, that’s may be a red flag however you can contact them to get more information. As we’ve outlined in this guide, private lender loans are like any other loan. Rather than being funded by a bank or institutional lender, however, the loan is issued by private lenders. Private lenders that can provide loans to Canadians that may be considered “high risk” for banks. Private lenders can also offer fast access to funds, with an online process that requires no appointments, no paperwork and minimal wait time. Put simply, private lenders are revolutionizing the lending industry, with a focus on providing a simple and easy to use process for many Canadians. If you’re reading this, you already have found a private lender when you’ve visited our website. We can meet all of your short-term loan needs serving the Canadian market with online lending services, designed for convenience and speed. You can borrow anywhere from $400 up to $1,500 and have the money available immediately, to use right away. It’s that simple!